SOLD!!! 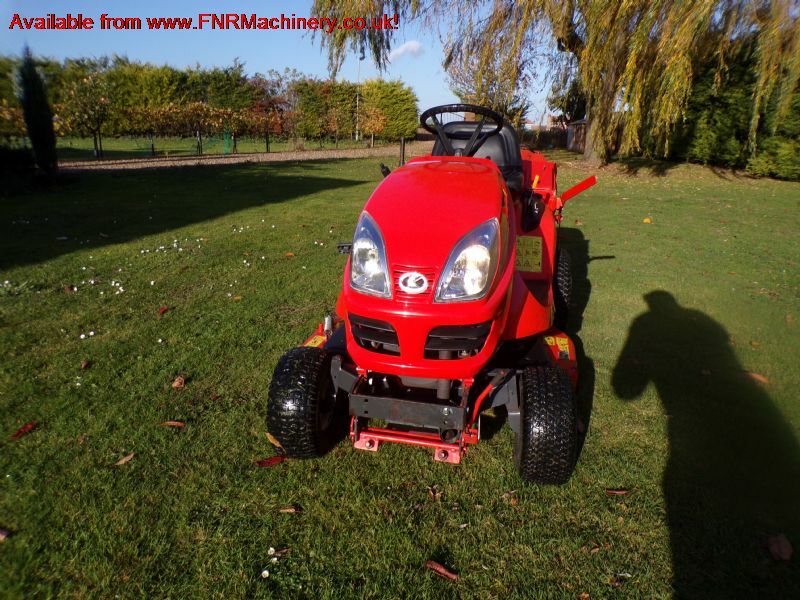 KUBOTA GR1600 II GARDEN MOWER LOW TIP SOLD! Brief Description: YEAR 2015. HOURS 531. 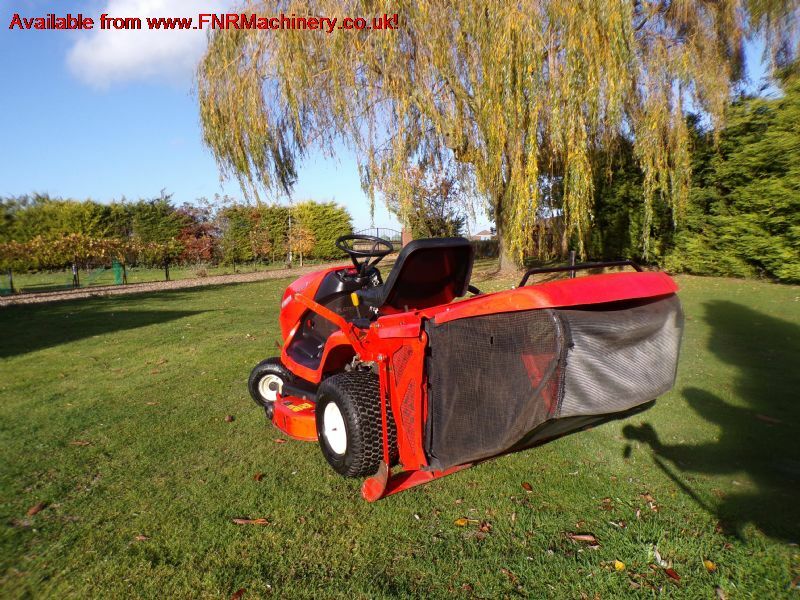 DIESEL RIDE ON MOWER WITH LOW TIP COLLECTION BOX. HST. 10.1KW DIESEL ENGINE IN THE GR1600-11 IS ABLE TO COMPETE HEAD-TO-HEAD WITH A 14.9KW PETROL ENGINE. FITTED WITH A STRIPPING ROLLER. More Information: Large fuel tank & hydrostatic transmission There is a large 18 litre fuel tank requiring fewer stops for refuelling, while the engine itself requires no special maintenance during the off season. Hydrostatic transmission makes the GR1600-II easily controllable with a single foot pedal and allows for a maximum travel speed of 10 km/h. 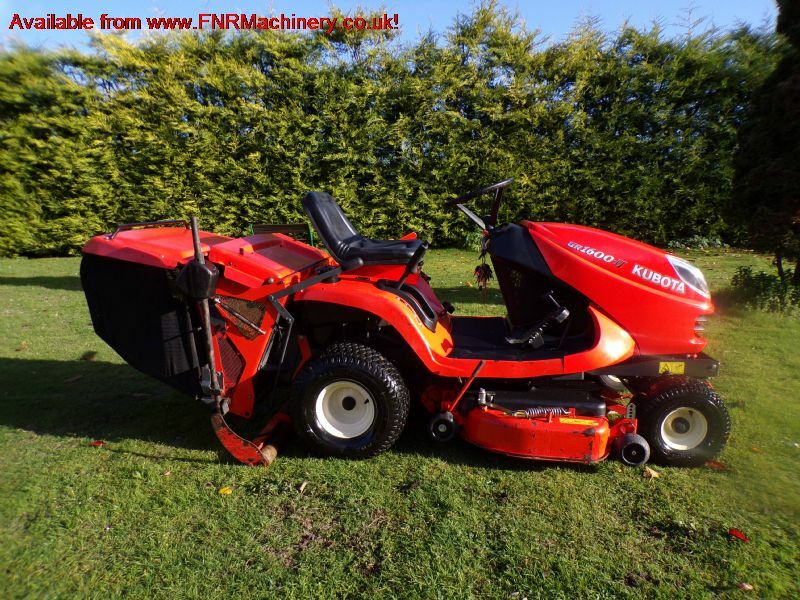 Excellent cut & collect performance With a high performance mower deck based on the design of Kubota's professional-grade machines but with user-friendly operation, impressive commercial-grade results are within your reach. 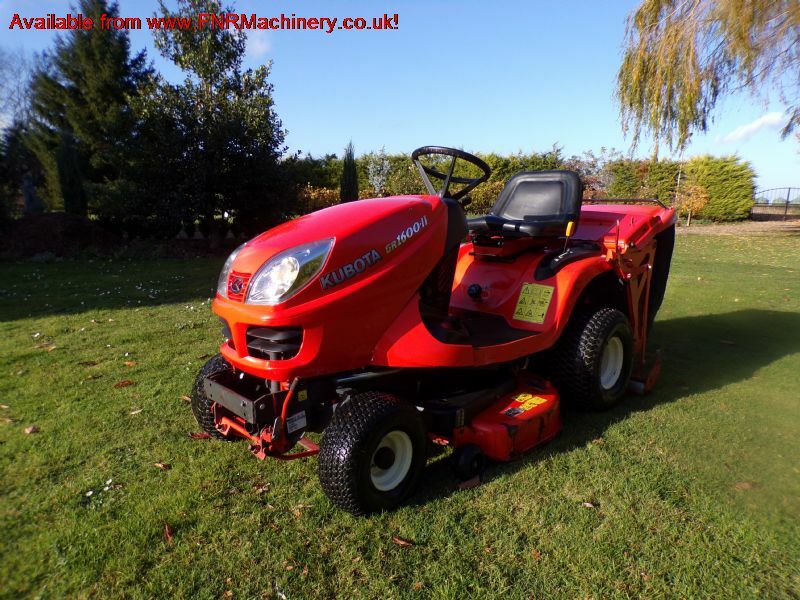 The deck has a 42 inch cutting width and can tackle tall, dense grass without trouble. 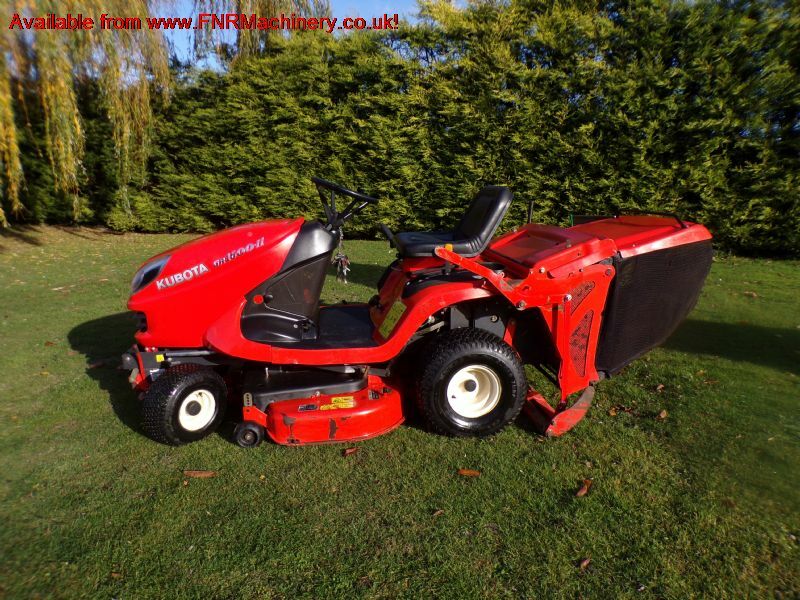 The grass collector is a generous 370 litres and can be dumped with a light touch, as well as removed and replaced with an optional rear deflector (sold separately). An electronic sensor signals when the collector needs to be emptied, helping to prevent clogs in the duct leading from the mower deck. An extremely comfortable machine to operate The GR1600-II is an extremely comfortable machine to operate and work in. 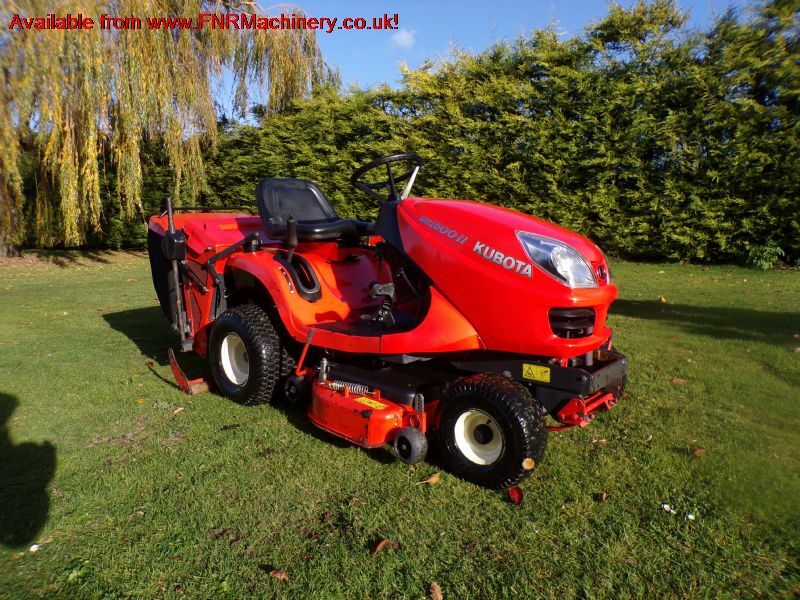 With a full-flat deck allowing for more legroom and an Easy Checker dashboard that provides you with the important information clearly and precisely, Kubota have taken care to ensure the operator's needs are taken care of with this machine.